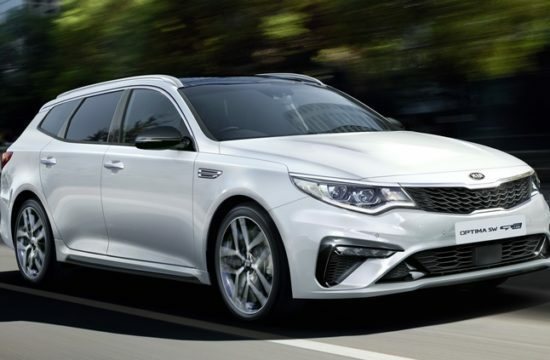 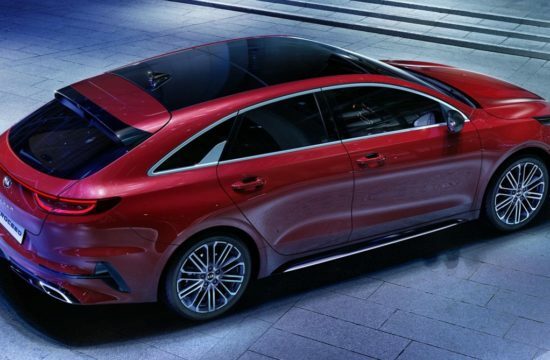 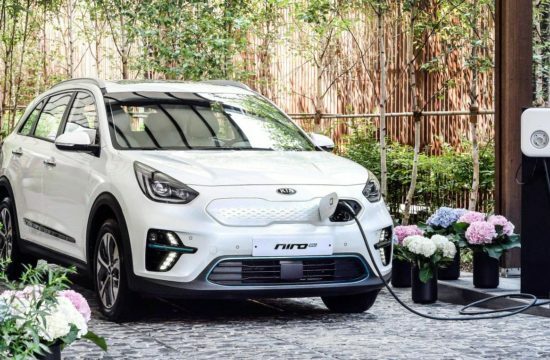 It took a while, but it seems Kia has finally got around turning the SPORTSPACE concept into its intended production model, which is a station wagon version of the Optima. 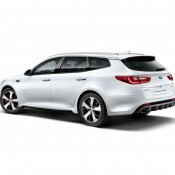 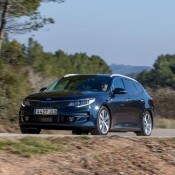 Set for debut at the 2016 Geneva Motor Show, the new Kia Optima Sportswagon is the firm’s first-ever D-segment tourer. 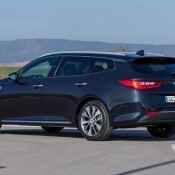 Now, although it’s a first effort, Kia Optima Sportswagon seems to tick all the right boxes for a good family estate var. 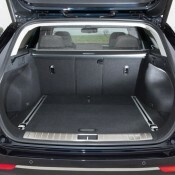 The car offers a massive 553 liters of cargo capacity which is expandable, thanks to 40:20:40 split-fold rear seats, and comes with ow, flat boot lip, and a Smart Power Tailgate. 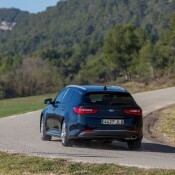 In fact, convenience features is the Sportwagon’s strength point. 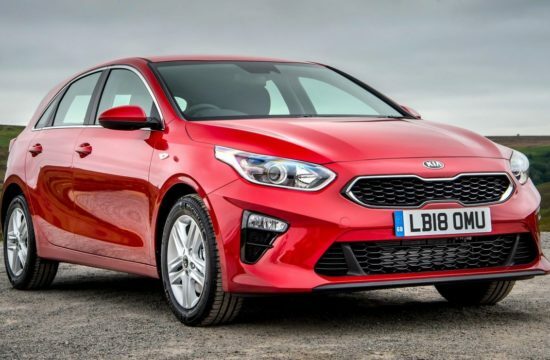 The car boasts Kia’s latest audio-visual navigation (AVN) system, available with 7.0- or 8.0-inch touchscreen infotainment, along with Android Auto and Apple CarPlay. 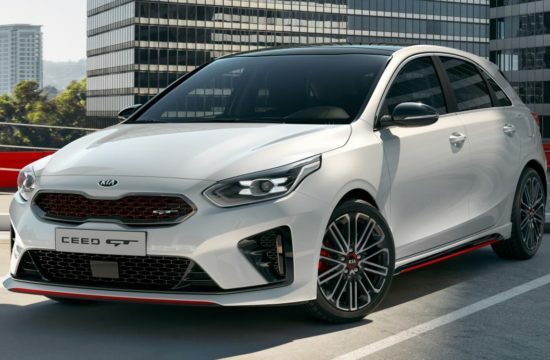 You can also order a 590-watt Harman Kardon Premium Sound system which is way too fancy for a Kia, as are some of the other available features, such as 360-degree Around View Monitor and Smart Parking Assist System (SPAS). 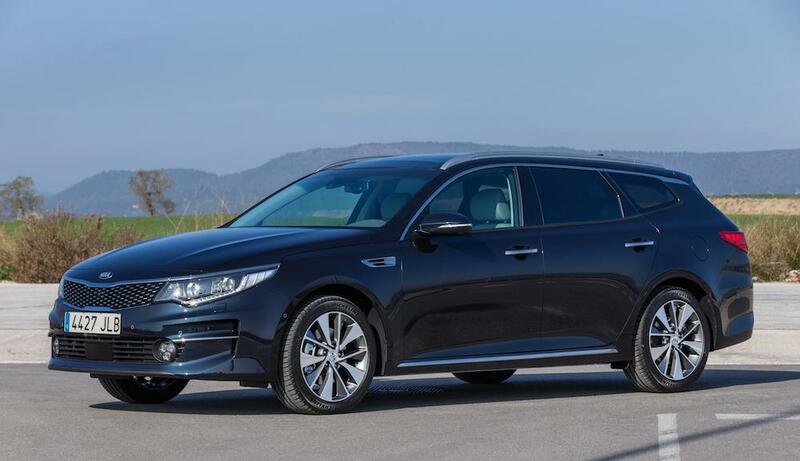 Kia Optima Sportswagon launches in Europe with a range of Euro 6-compliant petrol and diesel engines, including a 1.7-litre CRDi diesel or 2.0-litre CVVL petrol engine, and a 2.0-litre turbocharged petrol in the GT version. 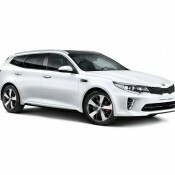 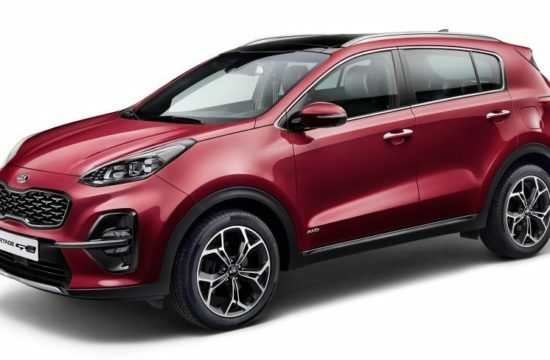 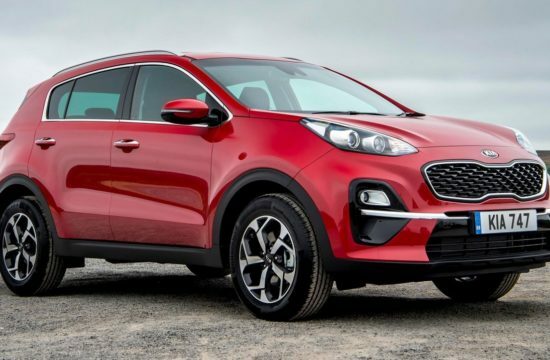 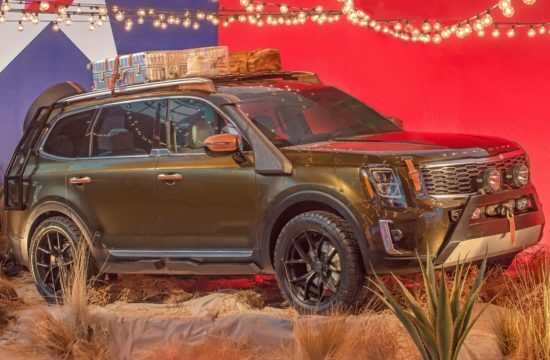 Front-wheel-drive is standard, but depending on the model you have a choice of a six-speed manual transmission or Kia’s new seven-speed double-clutch transmission.